ProgFont is a silly little program, only of use to programmers. 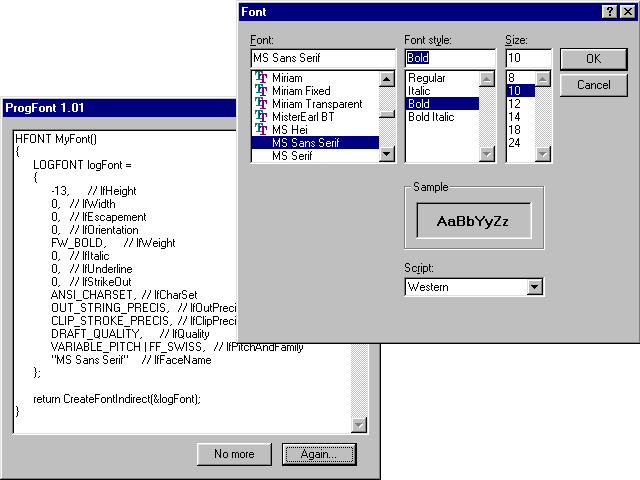 It will prompt you to choose a Windows font of the given type face, size etc. then will show you the C code that can be used to create that font at runtime. Just copy and paste the generated code into your program and use the font handle returned from the function. Here's an example of the output from the program.